Description: Women's Adidas Multi coloured New Bikini Set. 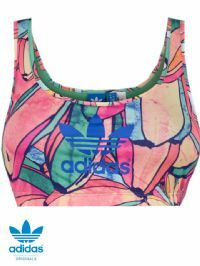 Description: Women's Adidas Originals Multi Coloured Bra Top. Description: Women's Reebok 'BW String' bottoms. Description: Women's Black Reebok BW String Bottoms. Description: Women's Reebok Bandeau in Black / Grey and Pink. Description: Women's Reebok Pink / Black String Bikini Bottom. Description: Women's Reebok Push Up Bikini Bra in a Pink / Red / Orange colour combination. Description: Women's Reebok BW String Bikini Bottoms. 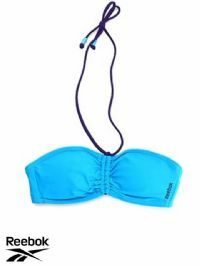 Description: Women's Reebok BW Bandeau String Bikini Top. Description: Women's Blue StrIng Bottom. Description: Women's Multi Coloured Reebok Rev Haulter Top. Description: Women's Reebok Full Bottom. Description: Women's Reebok BW Bandeau Bikini Top. Description: Women's Multi coloured Reebok Push Up Bikini Top. Description: Women's Reebok Pink / Blue / White Bikini Pants. Description: Women's adidas Bikini Top. Features circular pattern design. Description: Women's adidas HN Blue / White / Yellow / Purple Striped Bikini. Description: Women's Red / White / Navy Stripe Bikini set. Description: Women's Reebok 'BW Tri' bikini. Features a small Reebok logo on the bottoms, as well as a contrast white lace on the bra top. Description: Women's Nike 6.0 bikini top. Features a small Nike 6.0 logo, as well as a chequered patter all over. Has a tie-up at the back so adjusts to various sizes. 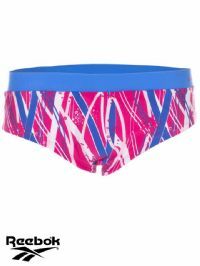 Description: Women's Puma 'Halterneck' bikini. Features a small Puma logo on the chest and the bottom back. Also includes an elastic halterneck tie up fastening.